Thank you, Les Fafard, for your leadership as Chairman this past year. I’m grateful for the smooth hand-off, and I’m really glad I didn’t have to endure the Tesla Coil like Gil did a couple years ago! I’m excited to serve as Chairman of the Board as we launch into the year ahead. It’s an honor indeed to serve on behalf of 83 member firms with some 3,600 employees. 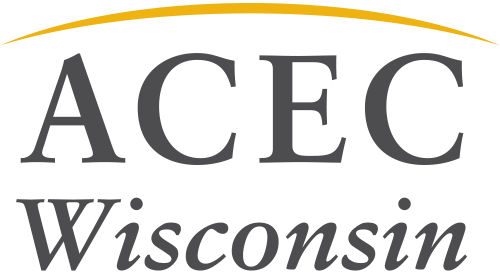 I pledge my best to lead ACEC WI in alignment with our Mission: Creating a healthy environment for engineering firms to advance the prosperity and welfare of Wisconsin. In the coming year, I expect to see continued advancement in our advocacy efforts. Building strong legislative relationships allows us to provide input on the front end of legislation rather than just reacting. We will continue to build strong partnerships with transportation stakeholders, business stakeholders, government reform advocates, trades and university leaders. These partnerships strengthen our effectiveness and are a key part of our advocacy effort. I’m looking forward to working with our ACEC WI staff; Chris, Kelly, Andrew and Renee. They’re thriving in the new office location on West Washington and they’re eager to provide membership support as needed. They also do an outstanding job coordinating conferences and events throughout the year. You’ll be hearing more soon about our new ACEC WI website which will provide a smoother user experience. Thank you, Gil Hantzsch, Past Chairman, who’s transitioning off the Board after serving several years. Thanks Gil for your steady guidance and leadership, and sage perspectives. Carrie Bristoll-Groll has resigned from the Board to focus more time on an exciting new business venture. Thank you, Carrie, for your time and energy over the last two years. Carrie and Gil have both contributed significantly to the strength of our organization, and even though they aren’t on the Board we know they will continue to be advocates of ACEC WI. Welcome to new Board members Bill Holder and Dave Brose. Bill was recently elected to take over for Gil, and Dave Brose accepted a Board appointment to take over for Carrie. I’m looking forward to working together in the next couple years. Finally, thank you to all the committed volunteers who invest time, energy and money making ACEC WI the healthy organization that it is. Pulling together we are much stronger in building a healthy environment for engineering firms in Wisconsin.